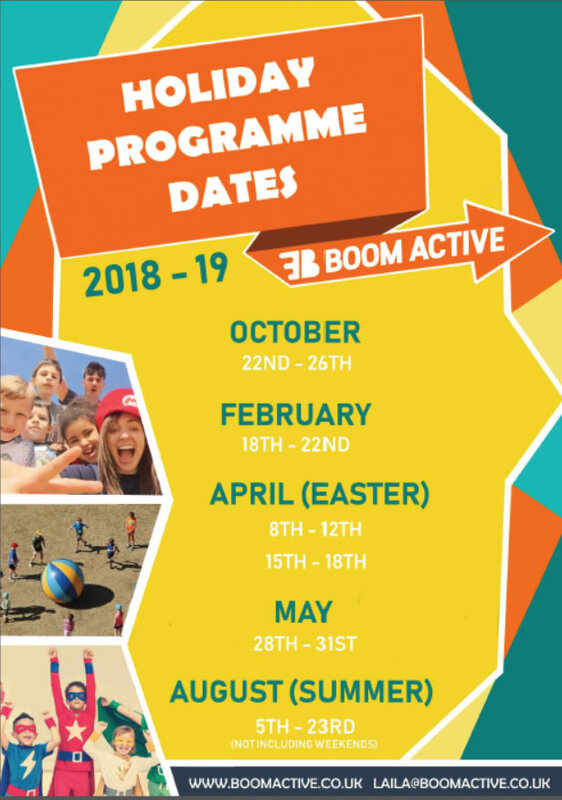 The Boom Active Multi Sports kids school holiday clubs in Hastings & Bexhill are all about having fun and making new friends. Each day the children take part in different sporting activities set around that days theme, with group challenges, team events, Inflatable days, Cheerleading, Gymnastics, Dodgeball tournaments, obstacle courses, Football, street dance , Gladiators, Wet n wild days and whacky races all included. We are fully confident that EVERY child who attends a BOOM ACTIVE holiday club will be bursting to come back for more !! We understand that children have different interests which is clearly reflected in our range of activities covered each day. Our events change daily to keep the children interested and engaged, but what they don’t realise is that they are also learning valuable life skills such as communication, team work and negotiation. With our team of highly qualified and suitably trained staff all holding DBS and first aid certificates we are able to offer a professional and reliable service at all times. Throughout each day ‘Boom Star Kids’ will be selected for doing positive things such as being a good team player, helping others and trying their hardest. Please note: When you proceed with your booking you will be redirected to our secure online booking system which is powered by “Love Admin “ previously PaySubsOnline. By logging onto your account you can see all payments made and make changes to your registration information to ensure it’s kept up to date. 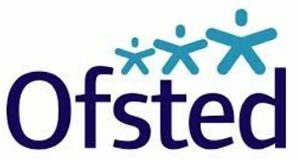 (It is the parents/guardians responsibility to update and make any changes that need to be made to their child’s registration forms). If you are booking via the Childcare Voucher scheme or with the ‘Heart of Sidley‘ simply fill out the registration form below before calling the office to reserve you dates. If you have used the service before please call / email the office with your dates, there is no need to fill out another registration form. 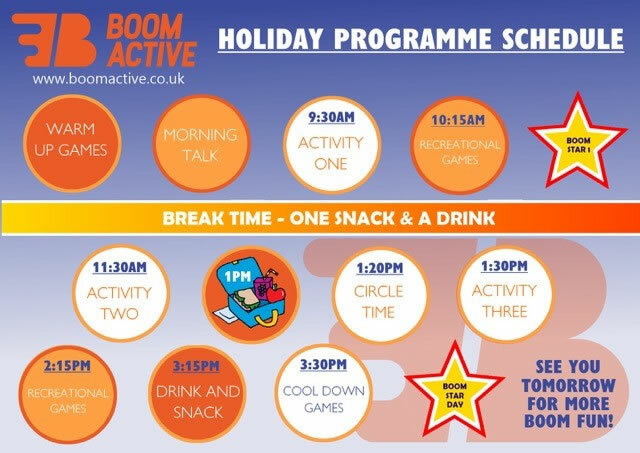 All Boom Active Policies and Procedures can be found on on the following Holiday Club Policies page & can be view at the front desk at both venues or emailed to you directly if requested. Boom Active is made up of a team of highly qualified, experienced and passionate sports specialists that thrive on creating innovative and ultimately FUN ways of getting children active. We believe that every child should have the opportunity explore the many ways to exercise and be involved in sports, which is why we strive to make every Boom session inclusive, developmental, safe and fun for EVERY CHILD. The team that delivery all our Holiday programmes also work within primary schools to provide outstanding PE lessons (CPD and PPA cover) as well as engaging extra-curricular clubs such as before school, lunch and after school sessions.